British novelist Jane Austen’s ring brought $236,000 when it sold at Sotheby’s in 2012. OXFORDSHIRE, ENGLAND — Strange Inheritance, Fox Business Network’s series that explores unusual stories of inheritance, continues its 2017 season on Monday, February 27, at 9 pm Eastern time, with stories that range from Abraham Lincoln’s rail splitter to Jane Austen’s ring. Series host Jamie Colby, left, with a staff member of the Jane Austen House Museum and the turquoise and gold ring deemed to be a “National Treasure” of England. In this episode titled “Jane Austen’s Ring,” series host Jamie Colby heads to England to visit Nicky Gottelier. 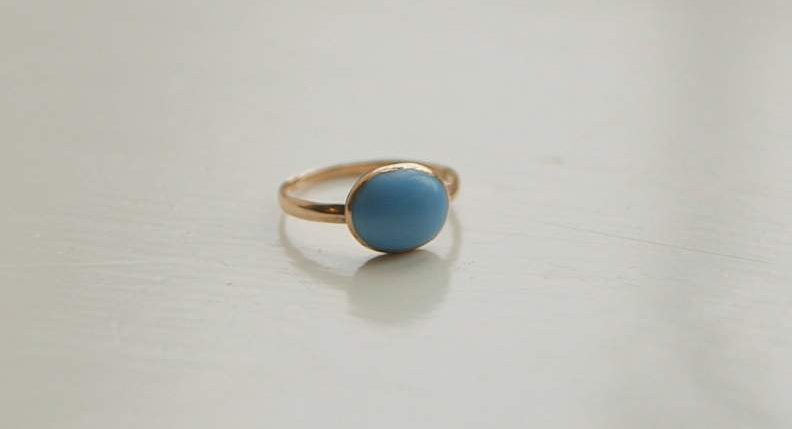 the fifth generation descendant of world-renowned British novelist Jane Austen who inherits one of her ancestor’s very few possessions — a turquoise and gold ring. She and her husband, David, think their golden ring could become a golden goose for their retirement. As most antiques and auction devotees know, on July 10, 2012, the ring hit the auction block at Sotheby’s and after a fierce bidding war, sold for $236,000 to American Idol pop star Kelly Clarkson. However, before the ring was transferred to Clarkson, the British government declared the artifact a “National Treasure” and imposed a temporary export ban. The Jane Austen’s House Museum jumped at a second chance of owning the ring and launched the Bring the Ring Home campaign – ultimately raising enough money to keep the national treasure home in England. Strange Inheritance is one of the highest rated programs on the Fox network. Colby spent more than 300 days on the road last year filming the episodes.